At Spot Shooter Archery, we carry a variety of bows from top manufacturers throughout the industry. From traditional longbows and recurve to modern compound, as well as crossbows and bows for fishing, we have it all! Looking for something specific, or not sure what you need? Ask any of our helpful store associates for advice and help locating what you need. BEAR Archery We solemnly swear: Each Bear bow, no matter how large or small, will be utterly reliable and intensely lethal, capable of killing quickly and ethically. This promise will never change. It’s been our benchmark for more than 80 years, and the guiding principle behind the creation, perfection, and constant refinement of methods and techniques know only within Bear. No other bow feels, functions or finishes like a Bear. Nothing fulfills your highest expectations in quite the same way. Next trip take a Bear along. You’ll see what we mean. HOYT Founded in 1931, Hoyt is the leader in archery innovation and engineering. We take a tireless approach in developing products that deliver world class results. No gimmicks. No hype. Just practical, proven benefits for serious bowhunters and archers everywhere. 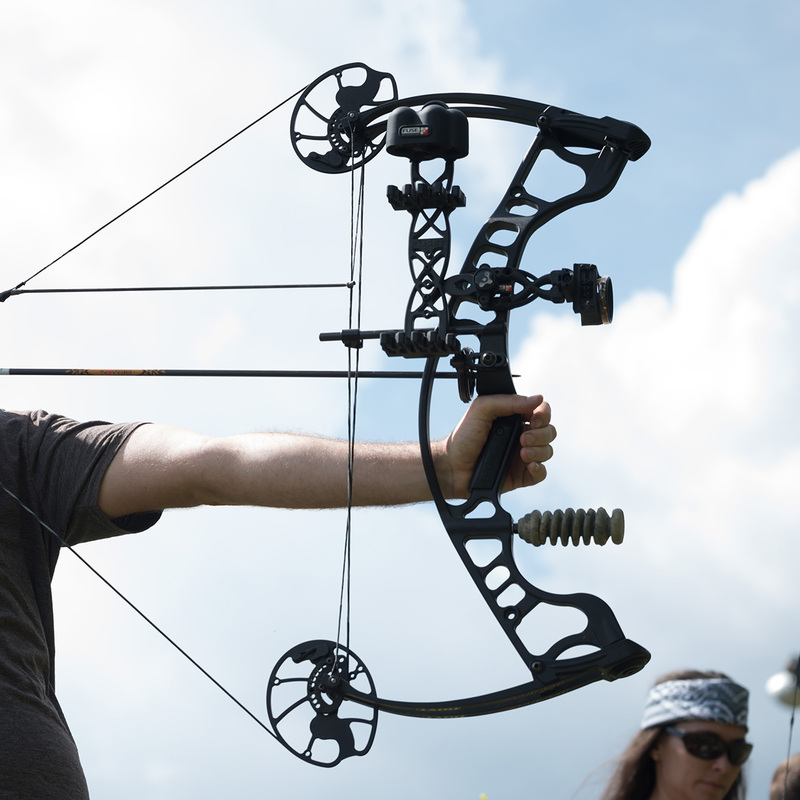 Precision Shooting Equipment –Archers can count on PSE to bring advanced manufacturing techniques to the industry. PSE was one of the first companies to machine bow risers and accessories from solid aluminum. PSE pioneered the four stage forging process for bow risers to create strong, lightweight bows. PSE holds twenty patents for bow design and archery products. These improvements spread throughout the industry to everyone’s benefit, not just PSE. “Research and development are the most expensive stages in manufacturing,” Pete Shepley explains, “but we’re committed to it and to making the whole industry grow, not just our slice of the pie. Experience PSE. Experience Performance. PERFECTION IS OUR GOAL. SUCCESS COMES WITH THE TERRITORY. At the end of the day, hunters are only as good as the tools of their trade. Harvesting a premium buck requires a premium crossbow, and that premium crossbow is TenPoint. HORTON by Tenpoint Horton crossbows are proudly designed, manufactured and assembled in the U.S.A. using the highest quality components available. Infused with some of the industry’s most technologically advanced features, our crossbows are subject to extensive and rigorous testing standards, ensuring that each and every Horton is built to exceed expectations for as long as you own it. 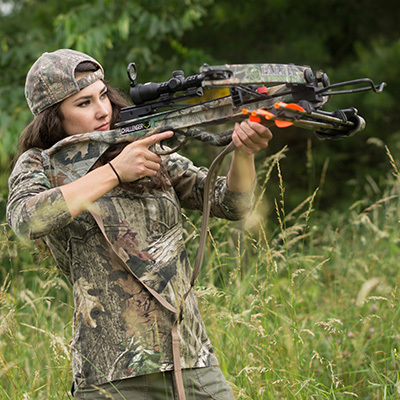 WICKED RIDGE Wicked Ridge, an easy-to-manufacture entry-level line of crossbows that – while simple in design- were nevertheless as durable, accurate, and dependable as their high-end TenPoint predecessors were. Wicked Ridge is now, of course, an independently successful brand. EXCALIBUR With Excalibur, accuracy is more than just a word, it’s a guarantee! Excalibur guarantees that each and every bow produced is capable of shooting groups of 3″ or less at 25 yards using broadheads… Target arrows? Better shoot one per target or you’ll be buying more! Our lightening fast recurve limbs turn out more speed than compound systems with a fraction of their weight, noise, or mechanical failures, our trigger mechanism has a pull that would make your rifle jealous, and our composite and aluminum stock is virtually indestructible. Tie these all together and you’ve got a crossbow that can weather all the abuse you can hand out, and still deliver the speed, accuracy and reliability that you need for a lifetime of service. KILLER INSTINCT A Michigan based crossbow company that prides it self on reliability, shoot ability and price points that can fit your budget. The Hero 380,Ripper 415 or the Swat 408 will all be great sellers this year! CARBON EXPRESS Also a Michigan based company that has fantastic customer service and a great line of crossbows that is one of our top sellers. Speed, quality, affordability they have it all.